As a freelance copywriter, I’d always been excited by the thought of starting an online business. What could be better than having total control over your schedule, freedom to do the work you’re most passionate about, and the potential to make money while you sleep? But becoming a digital entrepreneur also sounded daunting to me — at least in the beginning. Since I was working as a freelancer, I had little free time, no access to venture capital, and essentially zero business experience. 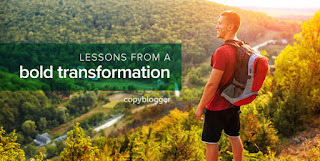 While I wasn’t about to let those constraints stop me, they did force me to take some unconventional approaches when building my digital commerce business. In this post, I’m going to share six powerful lessons I learned along the way to help other freelancers do the same. But freelancers are immune to this dilemma because they already have one or more skill sets that others would love to learn. For example, as a freelance copywriter, one of my skills is finding clients. So, I cooked up an online course that helps freelancers do that. There are no requirements based on how many years you’ve been working, a minimum number of conferences you’ve spoken at, or special degrees you need to hold. No matter what level of success you’ve achieved in your freelancing business, there’s a good chance you can get paid to show others how it’s done. Investing lots of time and/or money into making your first product look polished is usually a mistake. Instead, create a minimum viable version of your product. Make it awesome by filling it with all of the unexpected knowledge you’ve picked up during your freelancing career. That’s what I did with my course. Its first version consisted of multiple videos embedded on a web page. Even today, after more than $160,000 in revenue, the course looks pretty much the same. This is the best course I’ve ever purchased — I will buy anything you create! Being a freelance copywriter, I’ve run into many clients who hope that carefully optimizing their blog posts will someday flood their sites with visitors. There’s another, often faster, way: Guest blogging. For years I’ve encouraged my clients to drive traffic to their blogs using this simple strategy, but I never realized its true power until I tried it for my own digital commerce business. The first guest post I ever wrote (on Copy Hackers) generated more than 300 email subscribers for me — in just a few hours! What’s even more amazing is that the same post continues to bring visitors to my site each week, more than one year later. And I’ve written many other guest posts that do the same. My favorite thing about guest posting is that it’s so accessible. Most blogs that accept guest posts even have dedicated pages that tell you exactly how to submit one. As a freelancer, you’ll find it especially easy to land guest blogging gigs since you’re basically offering your services free of charge! Guest blogging works so well that I continue to use it as my main source of traffic to this day. Most freelancers don’t have thousands of email subscribers they can promote a new product to. That’s okay — you can start with a small list instead. Remember those 300 email subscribers I got from guest blogging on Copy Hackers? That was my entire email list when I first launched my course! Each subscriber received a five-part autoresponder sequence that gave them valuable information and pitched my course. Twelve of them purchased, giving me a nice four percent conversion rate on that small initial list. As I continued to guest post on other blogs, the process repeated itself, generating thousands of dollars in revenue in just the first few months after launching. As a trained copywriter, my instinct is to write — always. But as a busy freelancer and family man, months have passed between writing posts for my own blog. According to conventional wisdom, my scant blogging schedule should hurt my chances of building trust with readers, getting email subscribers, and even making sales. But it hasn’t. The trick is to focus on creating great content your readers love. Quantity is far less important than quality. My course brought in more than $10,000 in sales with just one post on my blog. More than $60,000 in sales came while having just two posts on my site. To date, I’ve collected more than $160,000 in sales — and grown my email list to more than 10,000 subscribers — with just seven blog posts total on my site. While I don’t necessarily recommend you follow the same form of extreme blogging minimalism that I did, I hope I’ve convinced you to focus on quality over quantity. If you truly help your readers, you’ll be rewarded with more raving fans than you know what to do with — while still having plenty of time left over to serve your clients. To freelancers, failure is a dirty word. Clients don’t pay us to fail. As a result, we’re programmed to avoid it at all costs. You’re going to fail many times, whether you like it or not. Failure is a key part of the learning process — it’s how you figure out what works in your business and what doesn’t. For example, what’s the best time to send emails to your list? You probably won’t guess correctly on your first try. Digital entrepreneurship is filled with questions like this — questions that can only be answered by getting your nose a little bloody at times. It’s okay to fear failure in your freelancing business, but in your digital commerce business, you need to embrace it. Please don’t think you need to make the transition from freelancer to digital entrepreneur all by yourself. There are people here to support you. Why reinvent the wheel when you can learn from others who’ve already succeeded? I’d recommend starting with a free membership to Digital Commerce Institute.